QMJ4-26 Small Block Making Machine is a little advanced model compared with QMJ4-35 Small Block Making Machine. 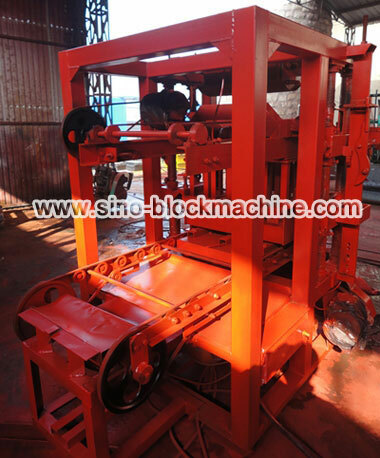 QMJ4-26 Small Block Making Machine is also widely used to produce hollow block, porous block, paving block, curb stone, etc..
1. The up and down of mould is electrical. 2. 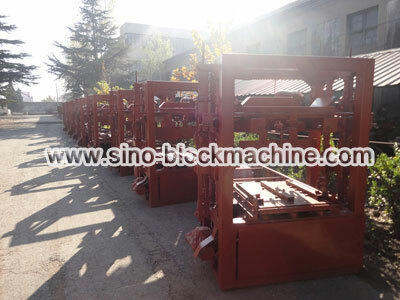 The pallets of QMJ4-26 Block Making Machine are put under the mould manually. 3. 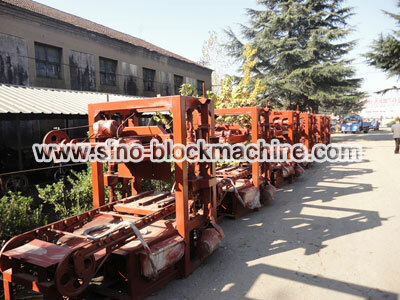 The QMJ4-26 Block Making Machine’s blocks are formed by vibration motors under the mould. 4. The discharge type of raw material is pneumatic or electrical. 5. The push and pull type of mould is pneumatic or electrical. 6. 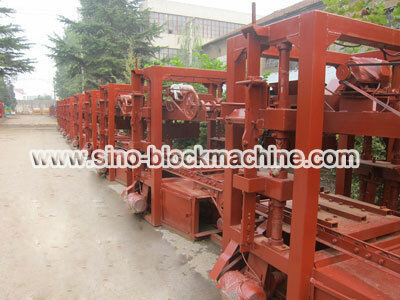 QMJ4-26 Block Making Machine is equipped with a green blocks conveyor which can make the pallets out automatically. 7. 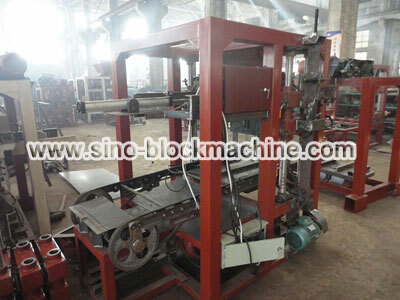 QMJ4-26 Block Making Machine is also equipped with a small control cabinet.